Christine has always loved going to the dentist. She could never understand why some kids didn’t like it. There have been a couple of times where she had to get cavities filled and she would always try to take a peek at the needle used to numb her mouth but the dentist sneaky and kept it out of sight. She pulled out her own teeth when they were loose and loves how her teeth feel after a cleaning. So, it is very fitting that she is going to school to be a dental assistant. She is in her second year of the dental assistant program. Yay! She is excited to be learning all she can about oral care and she has been trying out the Philips Sonicare PowerUp toothbrush. So, it goes without saying that she is concerned about taking care of her teeth. 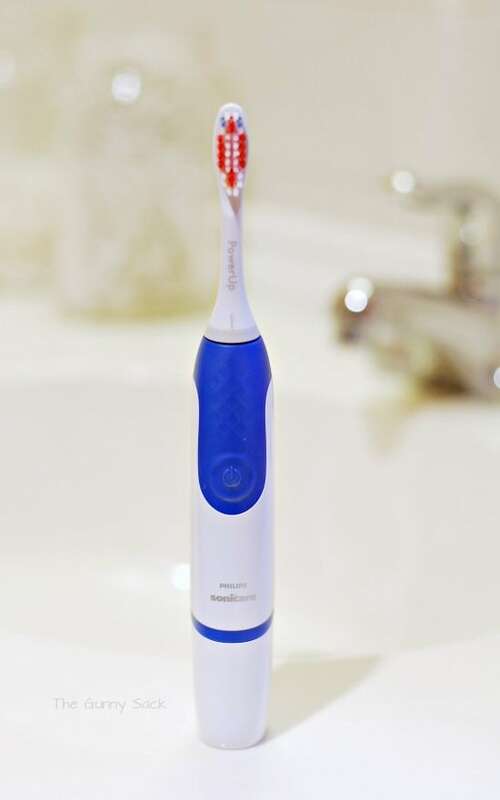 We just picked up the brand new Philips Sonicare PowerUp battery powered toothbrush for her from Walmart for less than $20.00, which I think is affordable. Before even opening the package, there were a couple of things we noticed. 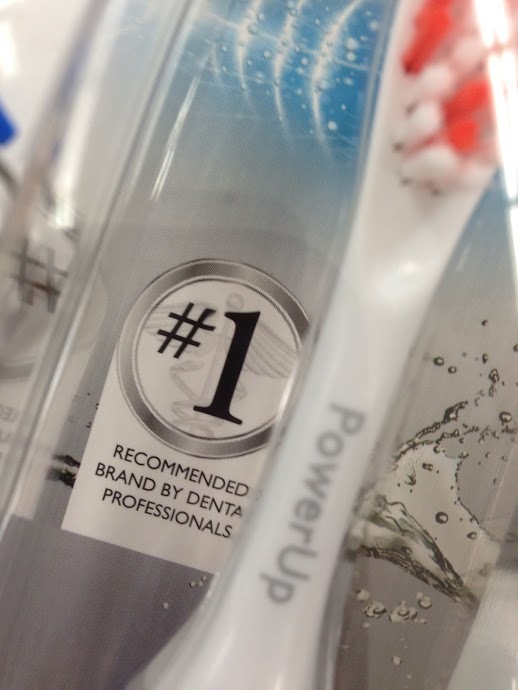 On the front it says #1 Recommended Brand By Dental Professionals! 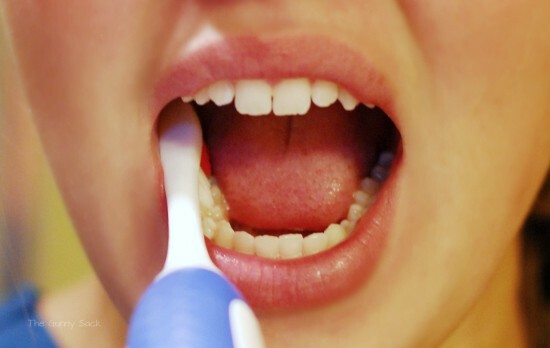 Prior to getting the Sonicare PowerUp toothbrush, she had been using a manual toothbrush. The Philips Sonicare PowerUp gives “A month’s worth of brush strokes in a day!” How cool is that? Christine could never get that with her manual toothbrush! She has been using it for a week and really likes it! The first thing she noticed about the toothbrush is how powerful it is. She said she can really feel it working. Her manual toothbrush has a soft head and her new Sonicare PowerUp has a regular head. I noticed that there are soft heads available and we planned to pick some of those put for her to try. But after using the toothbrush for a week, her gums have gotten used to the regular head so we won’t need to. Now that it has been a week, she noticed that her teeth feel really clean. She thinks the Sonicare PowerUp does a much better job of cleaning than her previous manual toothbrush. She said it reminds her of how her teeth feel after getting a cleaning at the dentist. She likes the size of the toothbrush head because it feels like she can get each individual tooth brushed. 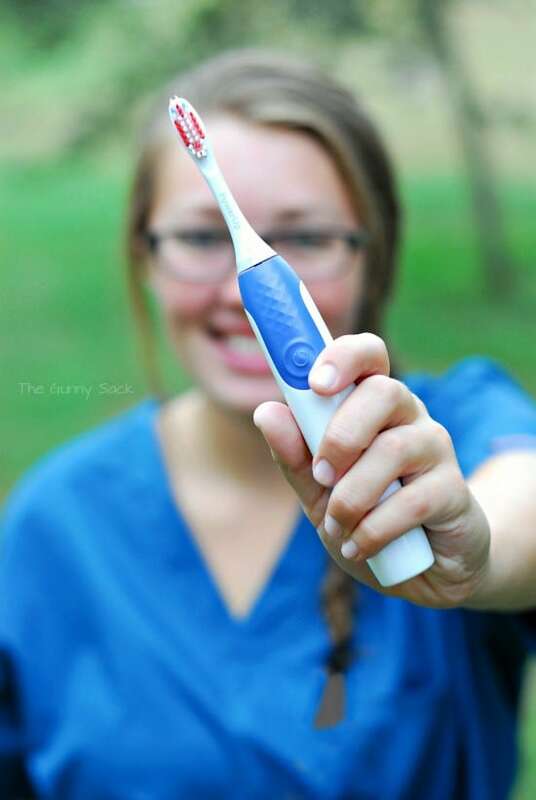 This battery powered toothbrush is easy to use and fits well in her hand. Want to try a Philips Sonicare PowerUp toothbrush? Check out these oral care tips, enter the giveaway below and #PowerUpURSmile! I have never had a brush like this. I think it will help me to get to my back teeth. I have a hard time flossing, so I think this will help a lot. Plus, I quit smoking and hope that this will help with cleaning in regards to staining. I’ve never had a power brush and would love to try it! 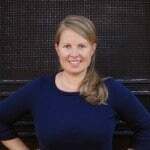 My teeth suffered once I became a mom. Probably because I started drinking a LOT of soda to help me stay awake during the day! Now, I’ve given up the soda and I’m doing everything I can to help my teeth. This looks like it might be a good idea! 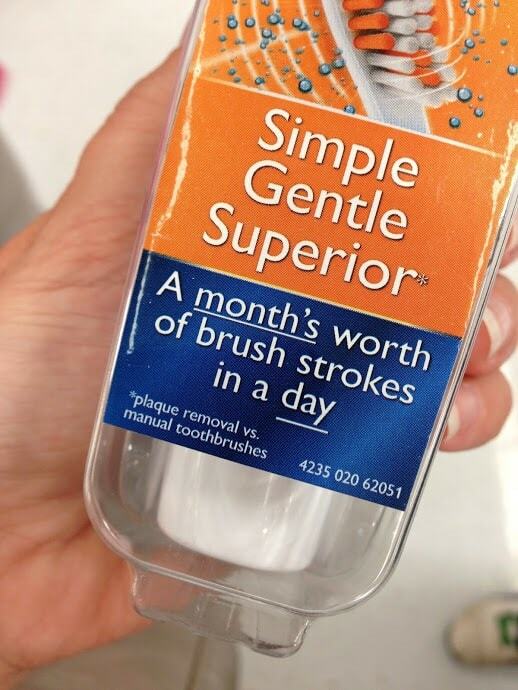 i never tried an automatic toothbrush but i would love to try! anything to keep my teeth as clean as possible! My dentist has recommended a power toothbrush and Sonicare has a great reputation. Oh I would love to try this! I take great care of my teeth and this would help. That is so awesome that she’s always been so great about the dentist and is now going to school to be a dental assistant. I really love hearing everyone’s opinions about the PowerUp, but it’s especially helpful to hear it from someone who is going to be working with teeth everyday. Great photos too! I would love to try a sonicare toothbrush just to see how well it cleans. If it really does a month’s cleaning in one day, sounds like I need to try it!